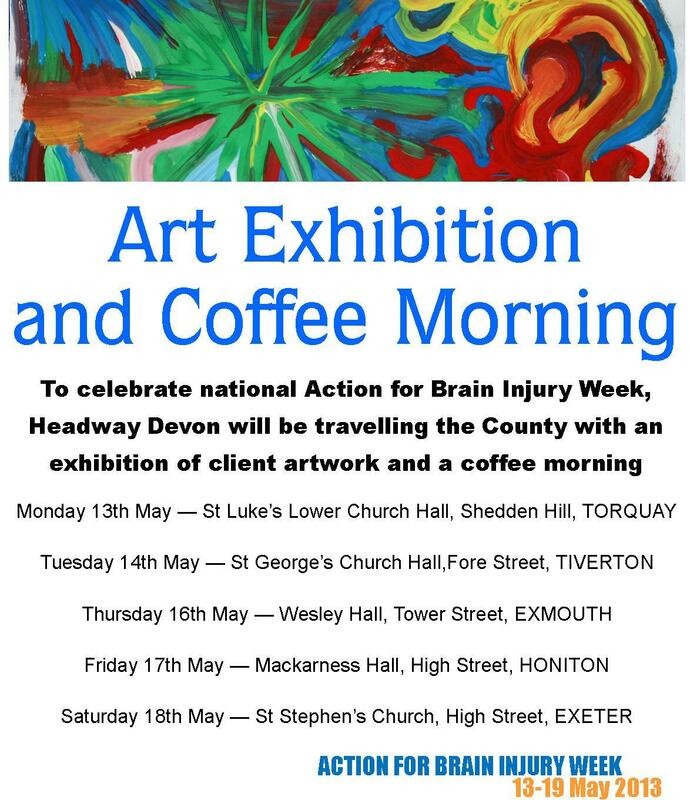 To celebrate Action for Brain Injury Week, which will be running from 13th-19th May, Headway Devon will be touring the county with an exhibition of client artwork and coffee morning. This “roadshow” will be launching in Torquay on Monday 13th May, before moving on to make stops in Tiverton, Exmouth, Honiton and finally Exeter on Saturday 18th May. As well as an exhibition of artwork, there will be information stands, delicious homemade cakes, children’s activities, space to enjoy a cup of tea or coffee, and a range of stalls to browse. 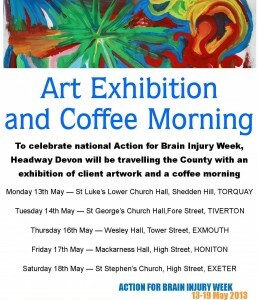 Entry is free and all money raised will be used towards Headway Devon’s work for local people with brain injuries. 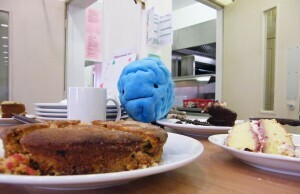 Brian the Brain is never one to miss a coffee morning! For more information about Action for Brain Injury Week and this roadshow or to sign-up to bake cakes for the events, please call us on 01392 211822.